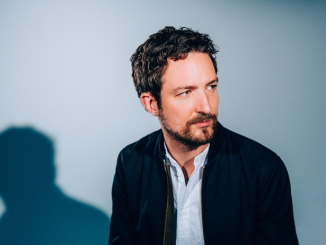 ‘Try This At Home’ is the second memoir in Frank Turner’s literary adventure, preceded by 2015’s ‘The Road Beneath My Feet’. And while the similarities amid the books are boundless, not least that the release dates are within 5 days of each other, (despite being 4 years apart), the perspectives from which they’re written are pleasantly jarring. ‘The Road Beneath My Feet’ predominantly outlines the literal formative journey of Frank’s musical endeavours, with particular attention paid to the beloved Nambucca, whereas ‘Try This At Home’ guides the reader in hand along the figurative journey of his songwriting processes and growth, navigating through a chronological map of 36 songs from Turner’s melodic arsenal, signposted by candid recollections, digressions of musical theory, and punctuated with thoroughly sincere appendices. In relation to his songwriting process, Frank prominently illustrates a duo of vivid and contrasting images, firstly likening himself to “…an explorer uncovering an ancient text that has always existed”, and, “…a sleepwalker who wakes up holding a bloody knife and surrounded by fresh corpses,” further commenting “I know I’m responsible for this, but I can’t remember actually doing it,” depicting the honest conclusion of his writing process as a fluid entity, ranging from the gift of a fully formed composition to the arrival at the coveted destination of song completion on auto-pilot. He portrays his writing form as being a “direct, autobiographical, almost confessional style,” and amusingly acknowledges his liking for the shower, of all places, to ignite his creativity, placing further emphasis on the normality of his ideas and their origins, reinforcing the sentiment of ‘trying it at home,’ and of encouraging the individual to write and perform in a way that feels authentic to themselves and their experiences. 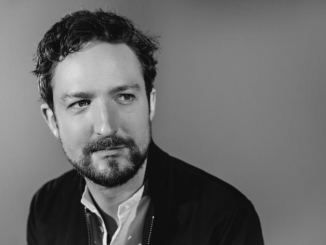 Frank Turner is quite clearly the driving force in his musical ventures – throughout the book, he recognises that the music is his project, and his decision is final. 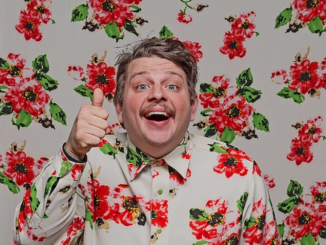 However, he is equally steadfast in his views that he cannot accomplish his aspirations alone, and although he is accustomed to composing individually, particularly in his writing, he is in no way opposed to outside influence, and on many occasions, happily welcomes it. 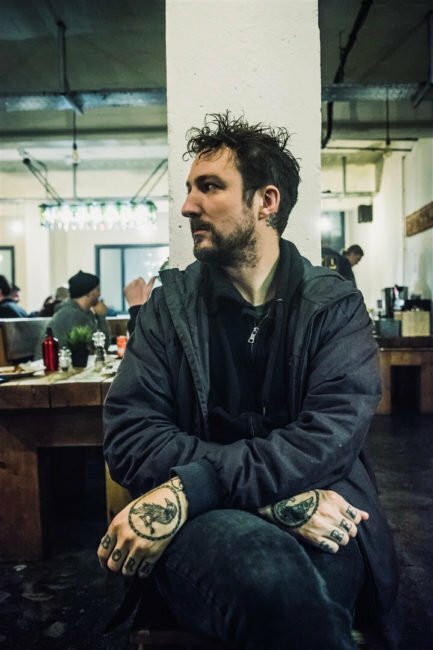 He references a wide spectrum of musicians and writers including Chuck Ragan, James Blunt, Against Me!, Coldplay, Bad Religion, John K. Samson, The Hold Steady, and most recently, Clive James – a heavily influential terminally ill writer whose words became the main inspiration behind ‘Be More Kind.’ His most appreciative words, however, are dedicated to The Sleeping Souls, who he recounts as having ‘shaped [his] work in the time [they’ve] been playing together, and have brought the songs to life on stage in the studio in a way no other group of musicians could have done.’ They are to thank for arrangements on songs such as ‘Broken Piano,’ and ‘The Opening Act Of Spring,’ and are credited as being Frank’s conscious on occasion, but his family always. Through the medium of ‘Try This At Home,’ Frank shatters the linguistic brickwork of a selection of his most beloved compositions to date, exposing the vulnerable truths supporting the words, and trusting the reader with a glimpse into the tangible experiences which have shaped the anthems that continue to incite ‘mass participation activities…from circle jigs to walls-of-hugs, to mass sit-downs.’ Never an artist to ignore his backing, this book serves also serves a purpose as a platform of recognition for Frank’s audience, his literary and musical influences, and, most prominently, The Sleeping Souls, without whom he would be bereft of not only many integral musical arrangements but also the unwavering support of a group of human beings who undoubtedly play a vital role in Frank’s personal existence and commercial success. 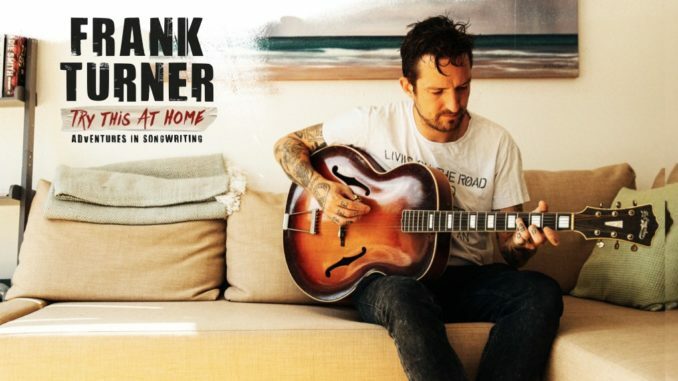 Ultimately, ‘Try This At Home’ is a satisfyingly straightforward and honest read that will allow his biggest fans a unique insight into the substances that fuel Frank Turner’s creative fire, while also providing his greatest critics with a deeper understanding of the man behind the media. I’m happy that my copy is in the mail!